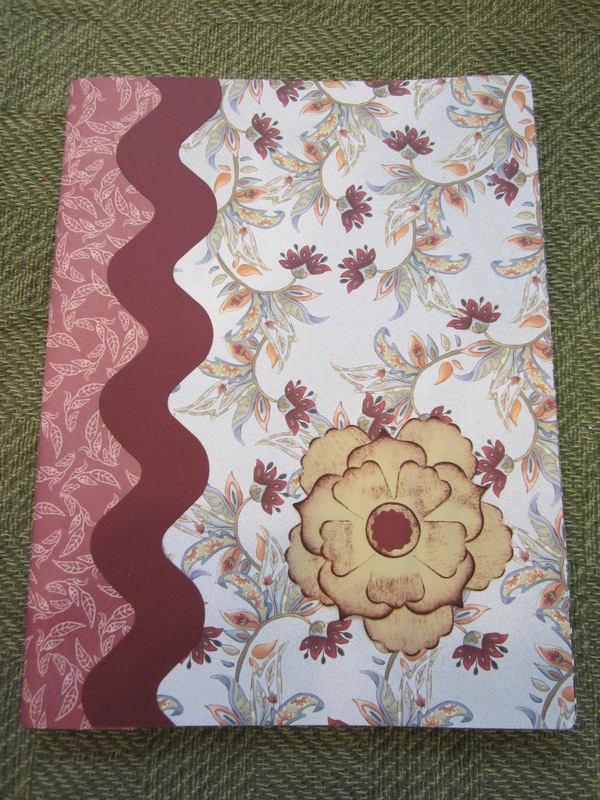 A Beautiful Covered Journal using the Paisley Petals DSP. I was just talking the other day with someone who said I needed to carry a journal because I lose the little notes that I write things I need to remember on so this is perfect. This is now my "To Do Journal". It should be big enough that I won't lose it!